Zachary P. Stephens (b. Brattleboro, Vermont, 1983) is a photographer and photography educator who specializes in portraiture and documentary photography. His personal work is concerned with family, domesticity, identity, and the American condition. He is an alum of the Hallmark Institute of Photography and received an MFA in Visual Art from the Vermont College of Fine Arts. A seasoned documentary photographer, his work has appeared in; The New York Times, The Boston Globe, USA Today, The Burlington Free Press, Vermont Life Magazine, and many more. He has been a staff photographer for The Brattleboro Reformer, The Bennington Banner, The Greenfield Recorder, and the Rutland Herald. 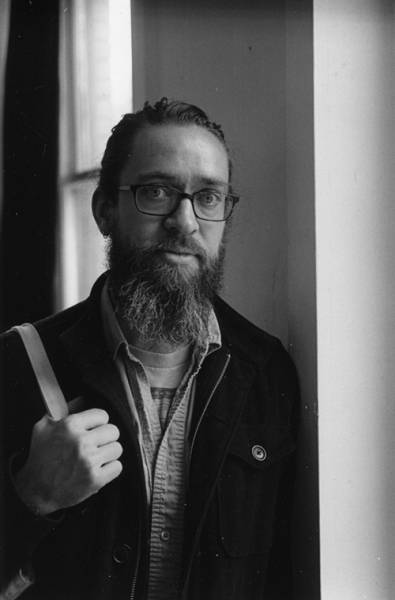 His work has also been exhibited nationally at galleries such as the Woody Gaddis Photographic Arts Gallery in Oklahoma, the Kayafas Gallery in Boston, MA, the Dianich Gallery in Brattleboro, VT, and the Snyder Gallery in Marlboro, VT.
Stephens is currently the Program Director at the In-Sight Photography Project in Brattleboro, Vt. He has taught at Keene State College and Landmark College, and the Community College of Vermont. He resides in southern New Hampshire with his wife and three daughters, has a studio in Brattleboro, VT, and accepts commissions and editorial assignments. Stephens is a member of the Visura Guild and the Society for Photographic Education. Zachary P. Stephens is a documentary and portrait photographer based out of Brattleboro, Vermont.